The property consists of a range of accommodation options including 104 self contained studios and one and two bedroom apartments. 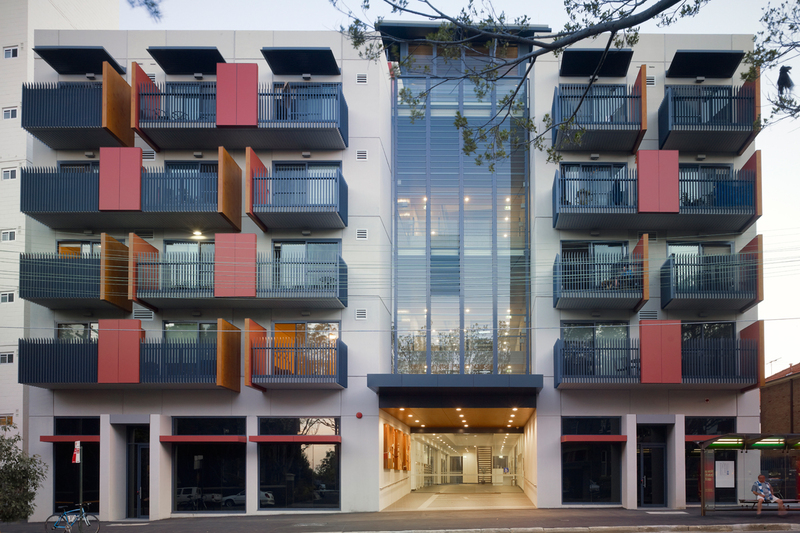 Commercial space for on-site support and tenancy services and social enterprise is located on the ground floor. The whole-of-site plan includes a landscaped community garden and a 24-hour, 7 days a week concierge service in the secure access lobby. As a flagship project, there was a strong desire from the client to use the latest technology. 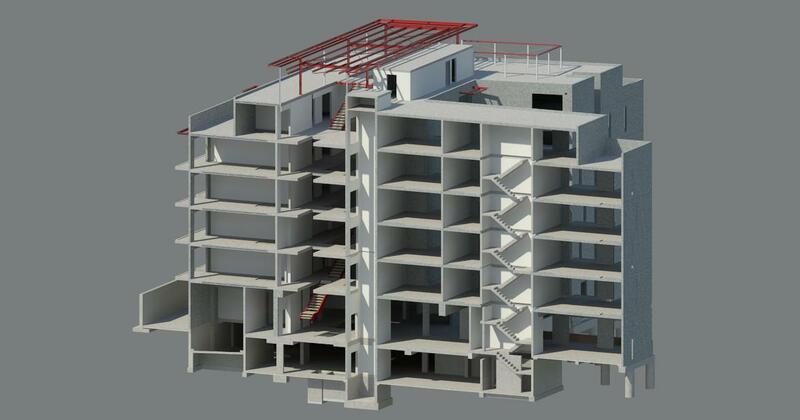 We utilised REVIT for the 3D documentation and Navisworks for design and documentation. In conjunction with the other consultants we delivered a BIM solution, which has resulted in better coordination and a reduction in errors within the documentation as all REVIT models were linked and monitored against each other for changes in the overall model. The models also helped in costing plans and can be used post-construction for facility management.